The 1994 Dodge Ram shook up the light truck market by turning out a stylish and strong pickup with a comfortable, useful interior tailored for working pickup owners. Dodge’s skyrocketing sales and market share was not lost on Ford and GM, whose next-generation pickups had more interior amenities and bigger engines. Ford even borrowed key Dodge styling cues, from honeycomb grille to “big rig” styling; while GM stayed with their traditional styling, but bolstered their power and amenities. … that is, until the 2001 heavy-duty models came out with a Dodge-like hood added to the traditional “Chevy square” front end. 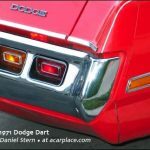 Before this generation, the Ram narrowly beat the Silverado 2500, and easily beat the Ford F-250 in most areas (the lack of a modern engine being the main issue with the Dodge). Now, as Dodge prepares to roll out a new Ram lineup – with the 2500 not due for over a year – we had a chance to test out a Chevrolet Silverado 2500. This pickup is one generation newer than the last one we tested, and it showed. The engine is quieter, the transmission is smoother, the ride is better, the interior appointments have been improved. The powerful Duramax diesel, with an Isuzu heritage, pulls heavy loads with aplomb, and accelerates far better than we would have thought, too. Perhaps that was due to the Allison five-speed automatic transmission on our test vehicle – an expensive but worthwhile option for heavy duty use, since it was designed for heavier loads than standard light truck transmissions (and has none of the bad rep gained by the Dodge automatic). The diesel was quieter than the Cummins and provided slightly better gas mileage, around 20 mpg. On the highway, the diesel was no noisier than a gasoline engine, and it provided instant acceleration at any speed. Passing was easier than in many cars. The transmission shifts smoothly and without flare or fuss. Given the history of the Dodge automatic, the Allison may be a key selling point, despite its high cost. Both the Allison and GM transmission has a tow-haul mode to lock the torque converter in all gears except first. That keeps the transmission cooler by preventing slippage. A transmission temperature gauge is also installed with the Allison automatic. Interior amenities were similar to those of the Dodge, with more places to put things – an almost dizzying array of choices – and the only real drawback being awkward interior door handles and the standard GM cruise control. The cab is pleasant and well organized, with a quiet vent fan, good sound insulation, minimal wind noise, and a very good Delco stereo. Our model also came with standard car-type doors, so rear passengers could get out when the front door was closed. Visibility is better than the Ram, due to lower door sills (larger windows) and good mirrors, which, admittedly, are an option. The ride is better than the Dodge, with a bit more bouncing but also a lot more cushioning. Under a moderate load, the bouncing was reduced, but the cushioning remained. Handling and braking are both better than the Ram – especially braking. We hate to say it, but the Silverado 2500 easily outdoes the current-generation Ram in measure except style. This may change when the 2002 models are out – but if you’re buying now, definitely check out the Chevy (or GMC). If you’re disappointed, look at the bright side – we have the same advice for Ford buyers, except that Ford has a longer way to go before they redesign the F-series!